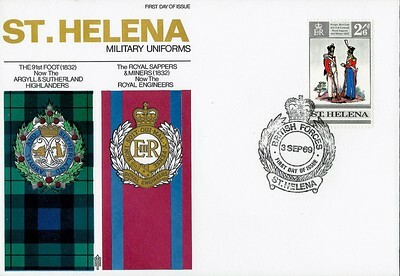 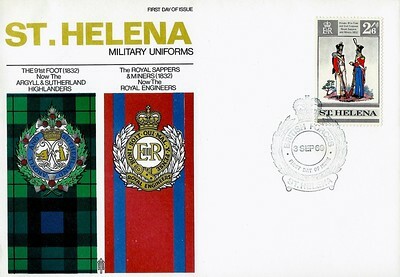 The RE badge denotes the fact that the RE were responsible for Forces Mail. 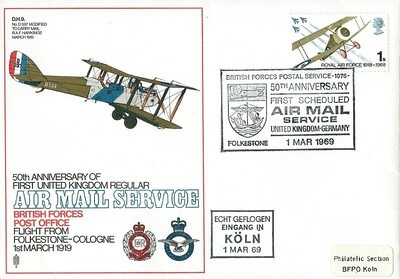 Stamps: 1s Royal Air Force 1918-1968 commemorative, issued 29 May 1969. 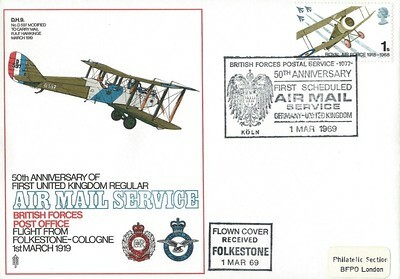 Cachet: Flown Cover Received Folkestone 1 Mar 69. 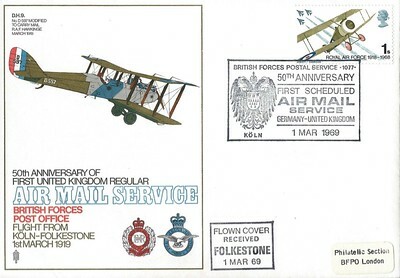 Border: Solid line in olive. 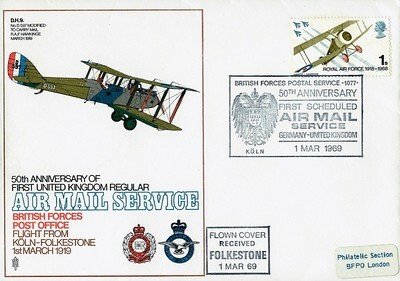 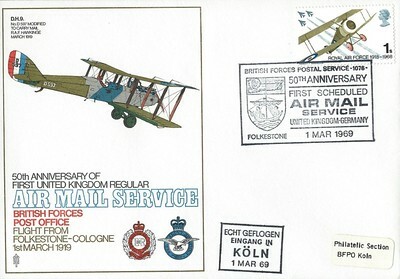 Special Handstamp: 50th Anniversary First Scheduled Airmail Service Germany-United Kingdom BFPS 1077, Köln's coat of arms shown to the left.